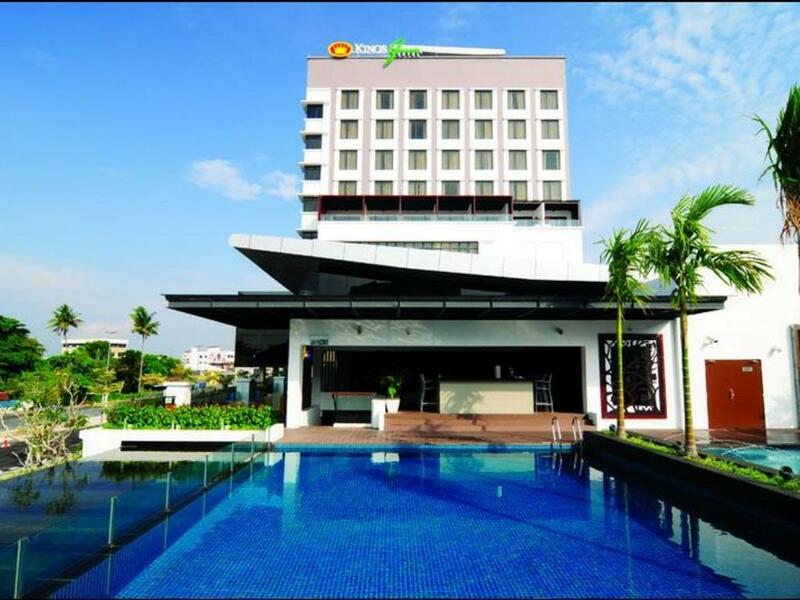 Set in a modern 8-storey building a 7-minute walk from the Malacca River, this chic hotel is 3 km from both Baba Nyonya Heritage Museum and Taming Sari Tower. Sleek rooms with colorful accents offer free Wi-Fi and flat-screen TVs, plus mini fridges and tea and coffee making facilities. Upgraded quarters add sitting areas. A breakfast buffet is included. Other amenities include an elegant restaurant serving Chinese and Thai cuisine, a brightly decorated coffee house and a relaxed bar and lounge. There’s also a gym, plus an outdoor pool.